Dame Barbara Hepworth (1903-1975), Sculptor; second wife of Ben Nicholson. Sitter in 28 portraits, Artist of 1 portrait. Dame Barbara Hepworth (1903-1975), Sculptor; second wife of Ben Nicholson. Artist of 1 portrait, Sitter in 28 portraits. 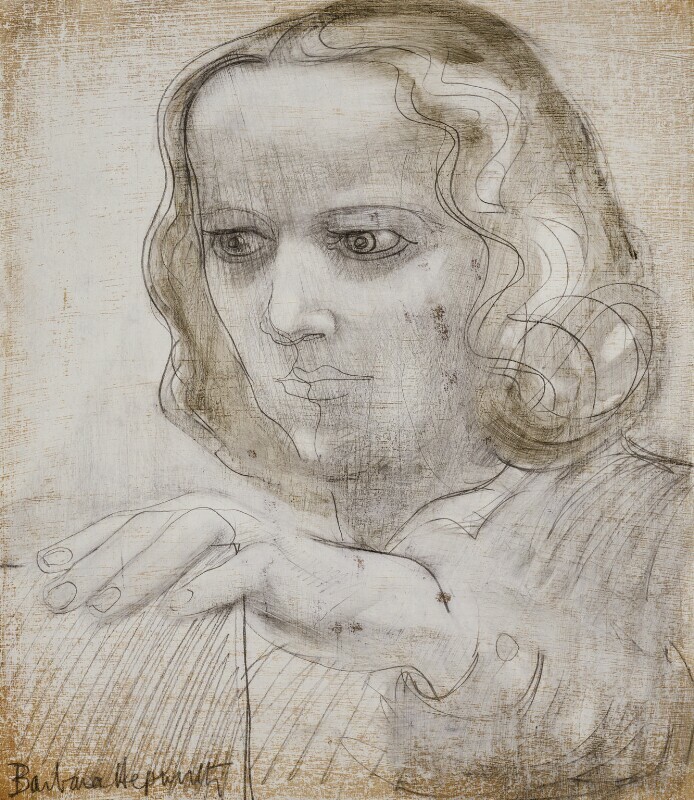 Hepworth was not a prolific draughtsman but two groups of drawings in her oeuvre stand out, the first for the War Artists' Advisory Committee recording hospital operations in wartime, and the second to which this self-portrait belongs. In the late 40s, when her marriage to Ben Nicholson had disintegrated and she was on her own in St Ives, the sculptor developed a routine of drawing from models in the evenings after the day's carving had ended.